I've been a big fan of "Glee" since the beginning. I genuinely enjoy the show, and I've defended it despite its weaknesses. But I'm extraordinarily concerned that "Glee" may have jumped the shark on Tuesday night. 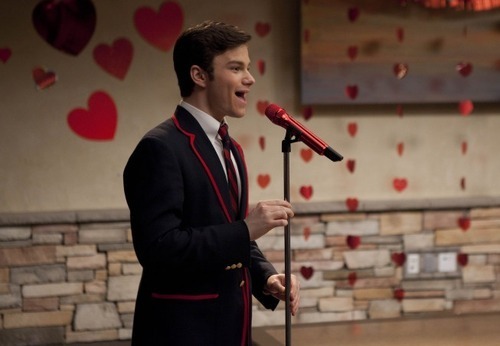 Watching Kurt (Chris Colfer) sing "As If We Never Said Goodbye" (from "Sunset Boulevard") as the other characters gazed at him adoringly - then gave him a standing ovation - was a vomit-inducing moment. Don't get me wrong. I think "Glee" deserves huge applause for all it has done to fight homophobia, racism and bullying. But the Kurt storyline has some major flaws. The messages have been mixed. And good intentions don't always make for good television. Sometimes, those good intentions create scenes that make you want to barf.